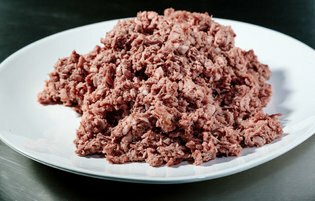 An Impossible Burger starts as a mixture of wheat, coconut oil and potatoes. 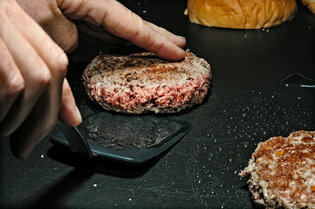 Heme, an iron-rich molecule contained in blood, is used to make the veggie burger taste, smell and sizzle, above right, like a beef burger. 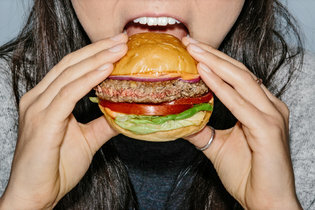 In blind taste tests, some people could not distinguish between the Impossible Burger and a beef patty, according to the company’s founder.